Suggested Grade Level: 9th grade level and up. Description: In studying the past, students in this course will master specific skills, gain an appreciation for and an interest in United States history, understand who we are as Americans, and learn how God has revealed himself in the history of our nation. This course will be presented from a Biblical worldview and will challenge students to develop a higher level of critical thinking with respect to cause-and-effect, bias, and perspective. What topics will I learn about in United States History? Explore the various motives for English colonization in North America, including religious freedom, economic opportunity, and representative government. Examine the conflict between the British government and the colonies. Dissect and examine the Declaration of Independence and the Constitution. Explore the structure and purpose of the three branches of Government. Understand the importance of the first three presidential administrations and the way politics shaped the new government. Identify the causes of the American Civil War, its key figures, and significant battles. Examine the uniquely American culture created in the late nineteenth and early twentieth centuries. Dissect the “Roaring 20’s” and the causes of the Great Depression. Understand the relevance and impact of World War Two and the following Cold War. Trace the cultural and social developments from the 1960s to the present day. How much homework is in United States History? What books will I use in United States History? The official booklist for United States History is now available. In the official booklist, you will find information about the editions, book descriptions, and ISBN numbers. Am I ready to take United States History? Students should be able to read and write at a 9th grade level, and should be able to work independently and meet deadlines. Please visit our Academic Readiness page for more information. 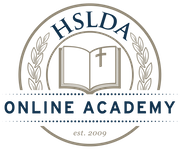 What is a Live Online Class Session in United States History? What if I have a schedule conflict with the listed United States History class times? What is the tuition for United States History?